tailor-made wildlife holidays to destinations across the world. Our website www.planetwildlife.com features a wide and attractive range of wildlife tours, photo trips, bird watching adventures, ocean cruises to Arctic and Antarctica and hiking expeditions. Each Planetwildlife tour is well organised, competitively priced, environmentally responsible and fully customisable. Tours are led by highly qualified and experienced tour leaders. We also offer tailor-made packages for smaller groups, individuals and corporates. Planetwildlife is backed by highly successful entrepreneurs and run by a professional team, who are passionate about wildlife and have been involved in nature conservation activities over the years. We currently have offices in India, Australia and South Africa, and plan to open more offices in other parts of the world. We have experienced travel industry professionals and wildlife experts working for us who are instrumental in creating the best tour programs for our customers. Travel with us and redefine your holiday experience. Marvel at nature and admire the magnificent wildlife with which we share our planet. At Planetwildlife we believe it is important to contribute to the protection and conservation of ecosystems around the world. Our commitment to this belief is guided by the principles of Responsible Travel. These principles govern the way we work as well as every aspect of our wildlife tours. Being culturally sensitive and encouraging respect between visitors and hosts, and build local pride and confidence. In addition, as part of Planetwildlife's policy, we will be funding various awareness drives and wildlife conservation programs. If you know of any deserving conservation drives or organisations that we can support, do contact us and we will be happy to help out. Veda completed her education from the top schools of UK, holds a BA Honors in Business Studies and a Masters degree in International Business. After graduating, Veda chose the road less travelled and decided to plunge head long into entrepreneurship, co founded Planetwildlife which enables her to follow her passion towards wildlife conservation and responsible travel. She is responsible for all the business developement and integration of Planetwildlife Group companies. Veda was named as a finalist in the British Council Alumni Awards 2016, which recognizes entrepreneurs who have gone on to achieve great things globally. Jo-Ann studied Tourism and Events Management and has more than a decade experience in travel industry. Jo-Ann heads our office (Perfect Africa) in Cape Town. Perfect Africa specialises in creating tailormade itineraries throughout Southern and East Africa. Being a senior sales consultant, Jo-Ann is responsible for the day to day operations and sales process in Africa. Her knowledge, expertise and pure passion for what she does is truly infectious. Parveez oversees the entire process of the operations team and handles the product development in India. 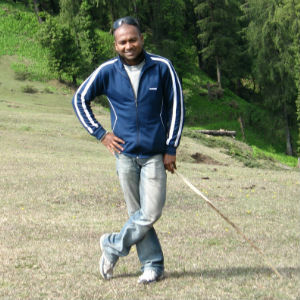 He did his Masters in Tourism Administration from Bangalore University, India. Previously, he worked for an Adventure Travel Company and was posted in the Indian Himalayas. Later, he worked for a Wildlife lodge at Kaziranga National Park and worked closely with local NGO’S working towards rescue of Birds & Snakes. Lalitha completed her Bachelors in Mass Communication from Liverpool John Moores university, Liverpool. She handles many of the beautiful images that give life and colour to our website. Lalitha also designs our monthly newsletters and promotional campaigns. 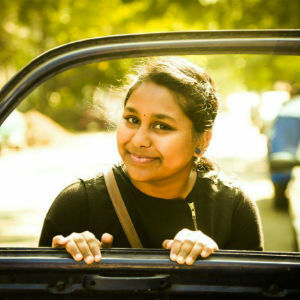 Lalitha is passionate about wildlife and enjoys bird watching. 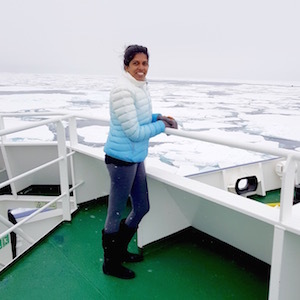 Akhila did her MBA in Tourism from Pondicherry University India and has an interest in wildlife, researching new destinations, and believes in making travel more experiential. Hoping to have a positive effect towards Mother Earth and fellow travellers, she joined the PlanetWildlife Team, which actions this cause. She enjoys bird watching, spending time in nature and making the clients’ bucket-list goals come true. Completed her MBA from Indian Institute of Tourism and Travel Management, Bhubaneswar. Priyanka has more than 10 years experience in the travel industry and specialises in the destinations India and East Africa among other popular destinations and looks into the finer details to make that dream holiday come true!